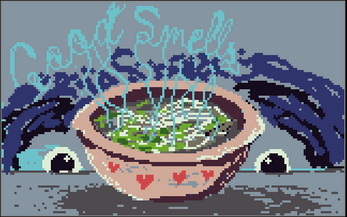 Click here to play Good Smells in your browser! Inhale good smells and great pho noodles. Enjoy this infinite food meditation journey. 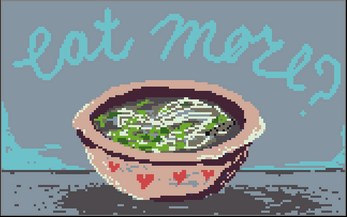 If you feel compelled by the awesomeness of pho smells, please donate whatever you feel like through the download button! Click link at the top to play Good Smells in your browser (or this one)! Click the soup bowl on the light pink part! Think about how good pho smells and imagine it in your mind until you actually taste* it's delicious flavors and all the happy memories you have of wolfing down noodles. **No, really, if you think real hard about the way pho tastes and watch someone eat pho it will (maybe) make you feel like you can actually taste it and help you recall memories. IT'S SCIENCE. MOUTH TASTE SCIENCE. DO IT. 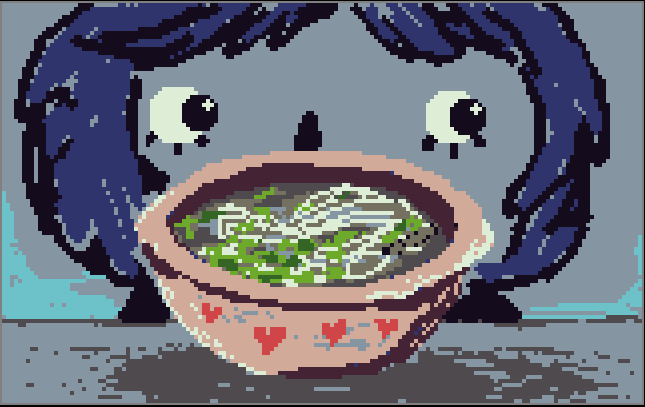 Making this game brought back great memories of when I was little and went out to eat pho with my mom (then I was convinced it was pronouced fff-oh and was very wrong then I learned it's actually pronounced f-uh muchhhh later). I hope it brings you good memories and good smells. Thanks for playing! I wish you a noodly good smell future!